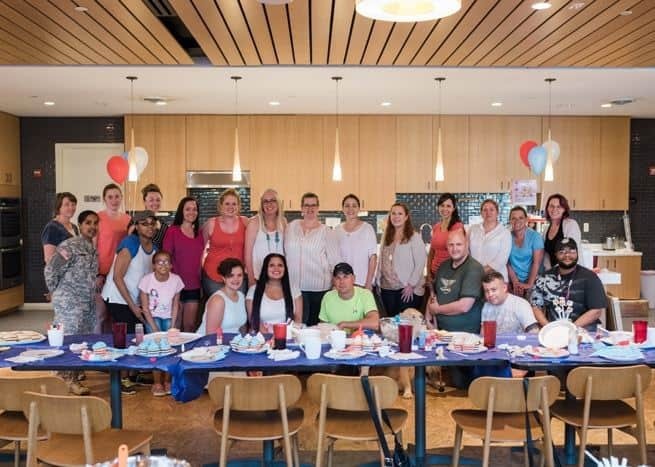 On a beautiful summer evening, I hosted a Dessert Decorating Workshop for wounded soldiers, their caregivers and other active duty military! 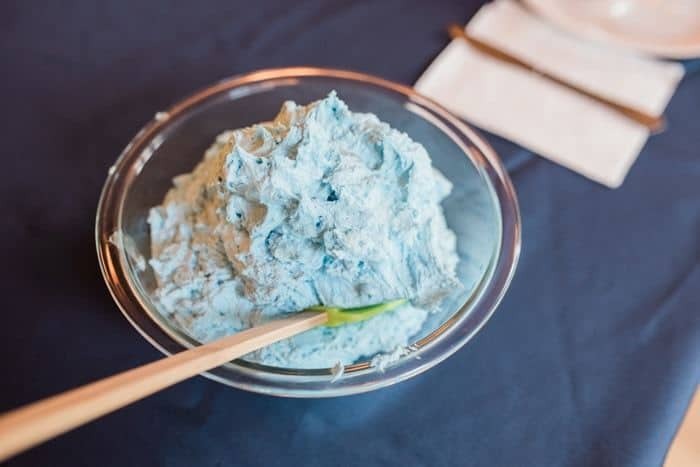 It was a fun, sugar-filled event! 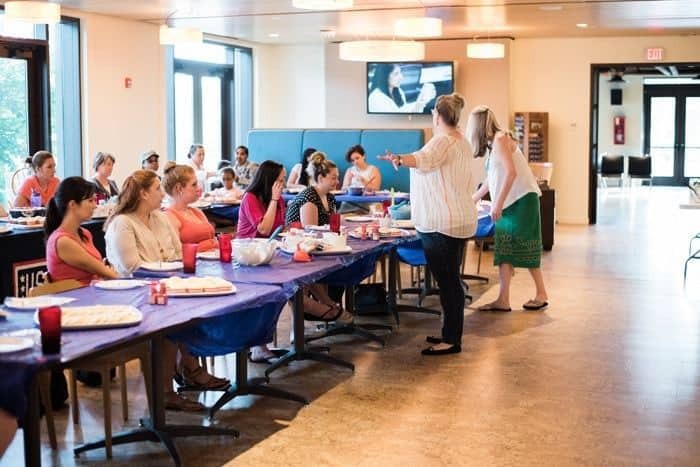 When I moved back to the USA in February after living abroad for 5 years, I knew I wanted to get involved in my local community. 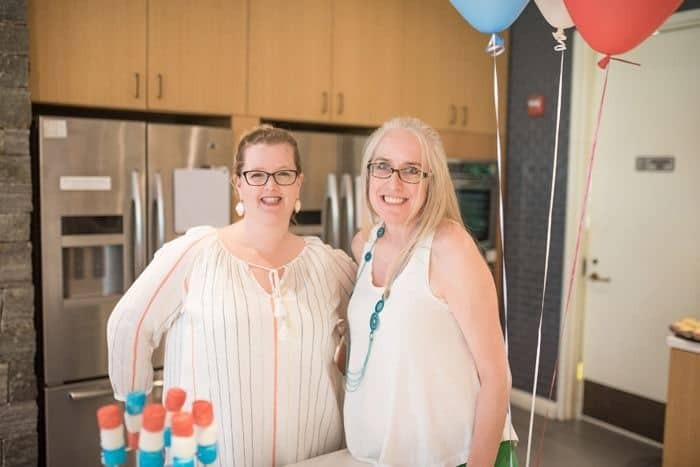 My family began attending events at the USO Warrior & Family Center at Fort Belvoir and I was introduced to one of the fabulous women who organized all the events at this USO. The first time I met Casey it was at a Caregiver Support Group at the USO. 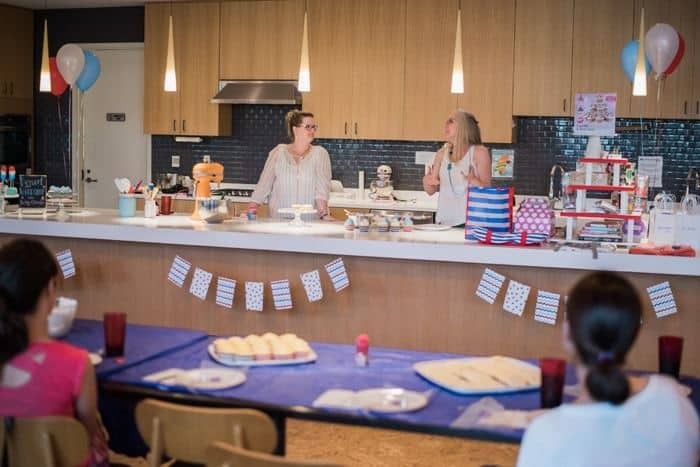 I asked her if I could host a dessert decorating workshop for the wounded soldiers and their caregivers along with other active duty military at the USO. Casey of course said yes and my brain went into planning mode! First person I reached out to was Meaghan of the decorated cookie! 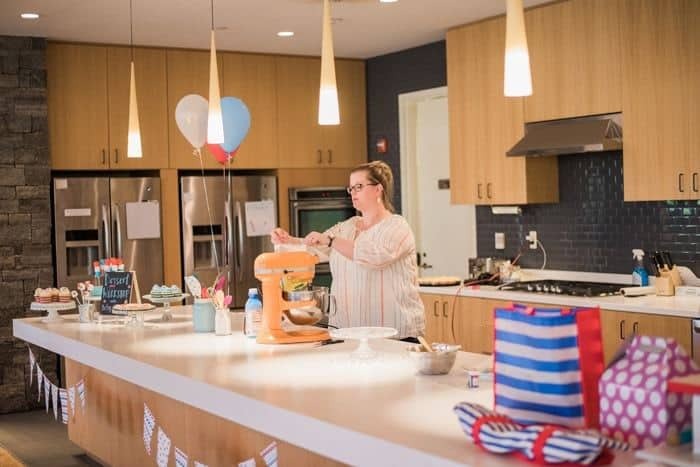 Meaghan is a super talented food blogger and baker who lives just up the street from me in DC! I knew she’d be the perfect person to co-teach this workshop with me! She’s got mad skills when it comes to desserts! 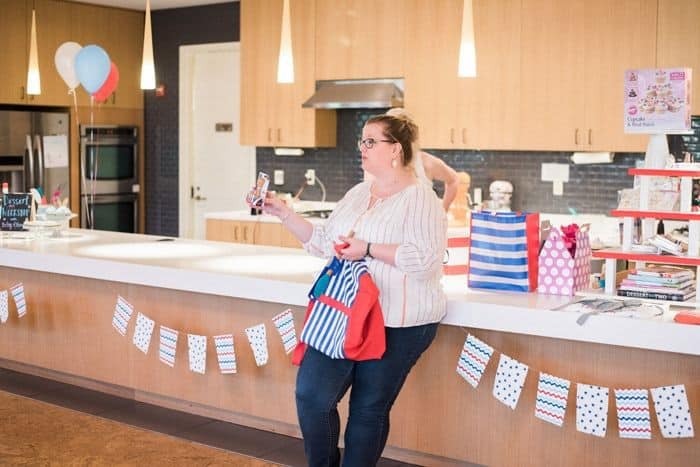 Meaghan is also a military spouse and a blogger and we’ve been Facebook friends for a while now! We actually met for the first time in real life at the USO for this event, but it was like we had known each other for years. That’s really how special both the food blogging and military communities are. Two days before the workshop, I began baking cookies and cupcakes and making batch after batch of buttercream. 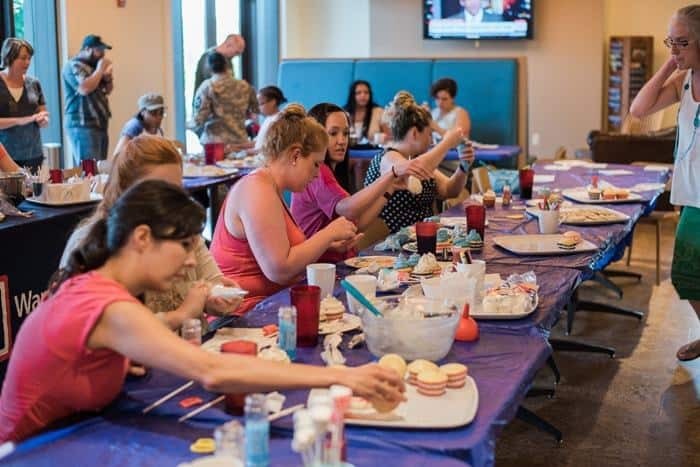 My plans was to teach these wounded warriors and their caregivers how to transform their cupcakes, cookies and marshmallows into beautiful desserts their families and guests will be so impressed with! 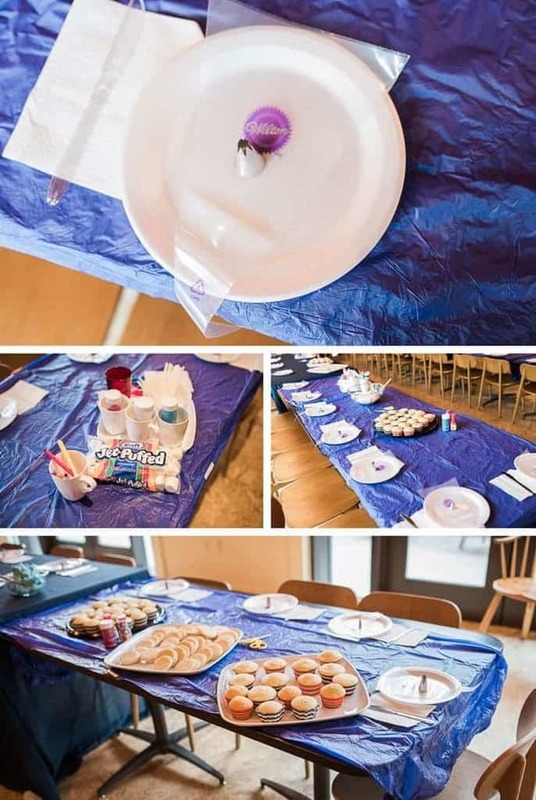 The tables were set with piping bags, decorating tips, marshmallow sticks courtesy of Wilton (THANK YOU FOR YOUR GENEROUS DONATION OF SUPPLIES & DOOR PRIZES!) along with dozens of cupcakes, cookies and frosting! 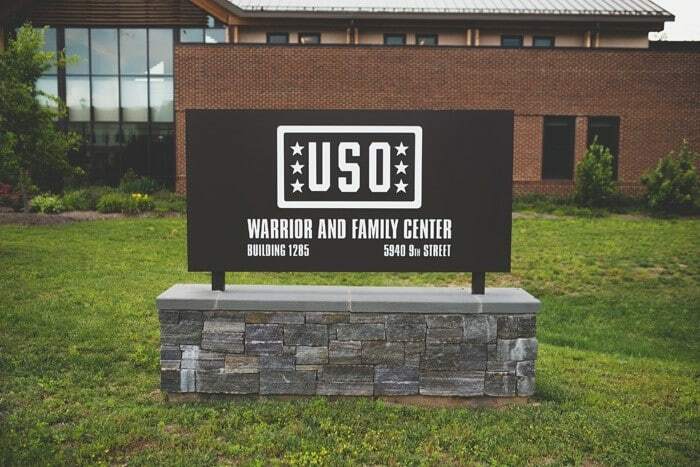 None of this would have been possible without the use of the USO Warrior & Family Center at Fort Belvior! 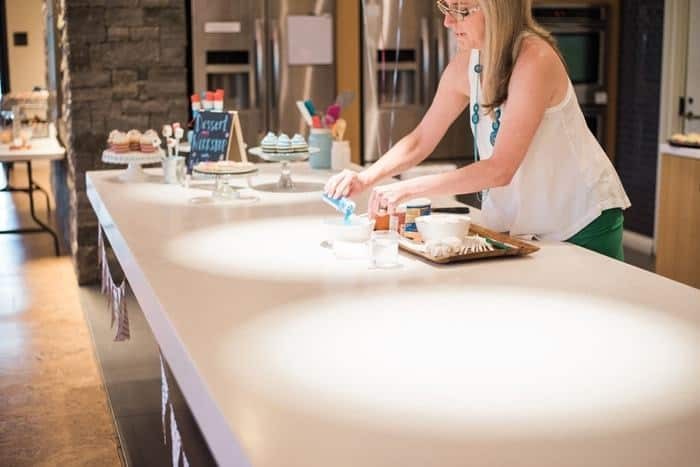 Their kitchen and common area were the perfect place to host a workshop like this! Thank you, USO, for letting me do this! With the tables set and the desserts ready, Meaghan and I were ready to teach! On the agenda for the workshop were five demos for decorating. 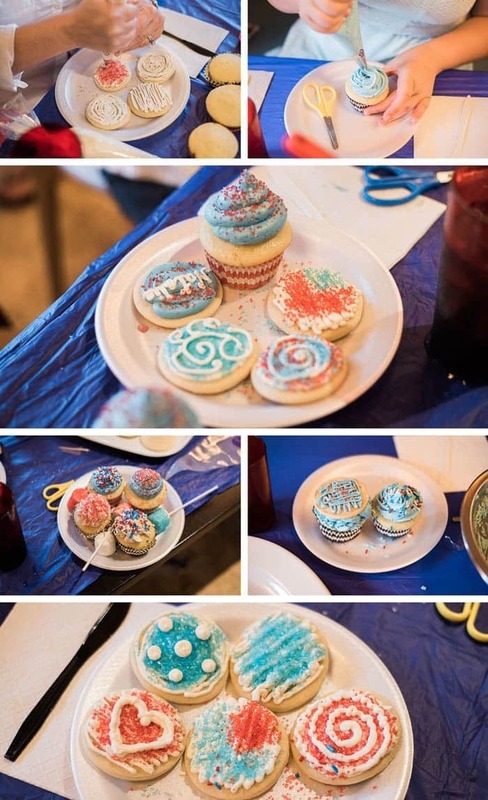 Two styles of decorating cupcakes with buttercream using piping bags and tips, techniques for decorating sugar cookies with buttercream, and two styles of decorating marshmallow pops. 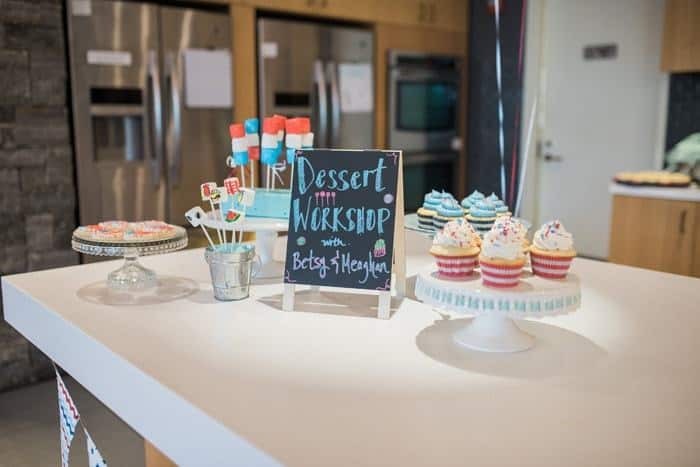 A big thanks to Shannon, owner of Sweets & Treats Boutique for supplying all the cupcake liners for this workshop! Meaghan and I got to work sharing all of our tips and years of tricks and secrets we’ve stored up with the workshop! 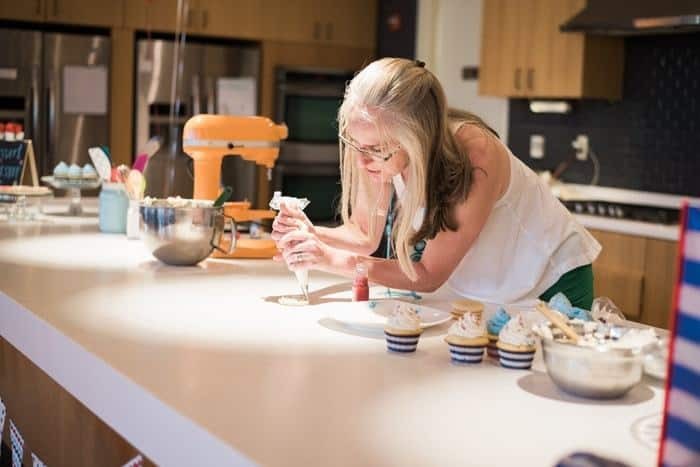 As the class eagerly watched… I showed the class how to whip up a batch of my famous buttercream as well as fit a piping bag with a tip and fill it with frosting. I then demoed how to use an open star tip and an open round tip to create two different looks when frosting cupcakes. 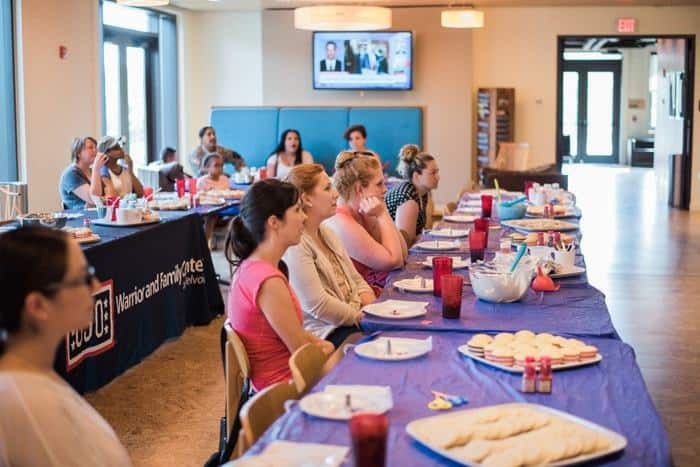 Meaghen jumped in and showed the class her go-to technique for piping frosting onto cookies! 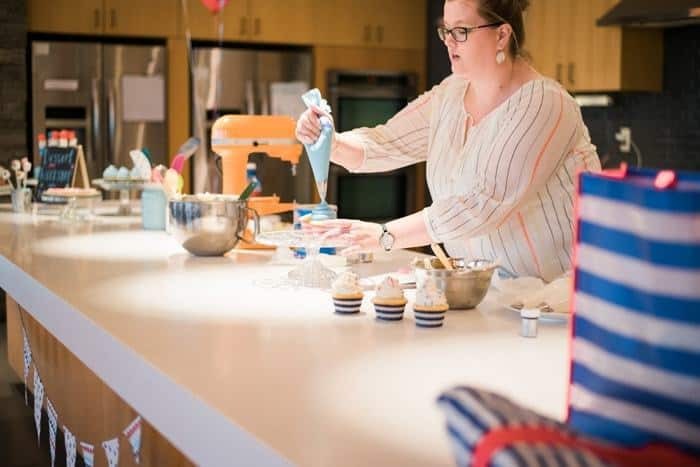 Finally, Meaghan showed everyone who to turn marshmallows into dessert pops by using edible markers and sprinkles! After the live demonstrations were complete, it was time for the class to start practicing what they learned! Meaghan and I gave the class instruction on what the tools were in front of them and set them free! And boy were they talented! Their creativity surpassed all my expectations for this class! Not only did the class expertly pipe frosting onto the cupcakes like they’ve done it for years, but they took the initiative to try new things and get really creative! Check out some of their creations! I love it! With just a bit of direction and the right tools, look how creative they were! I am just so impressed! As the evening was winding down, I had a huge surprise for the guests! FREE STUFF! I reached out to all of my food blogger friends and asked them if the would donate autographed copies of their cookbooks. All your books were a HUGE hit with the workshop! 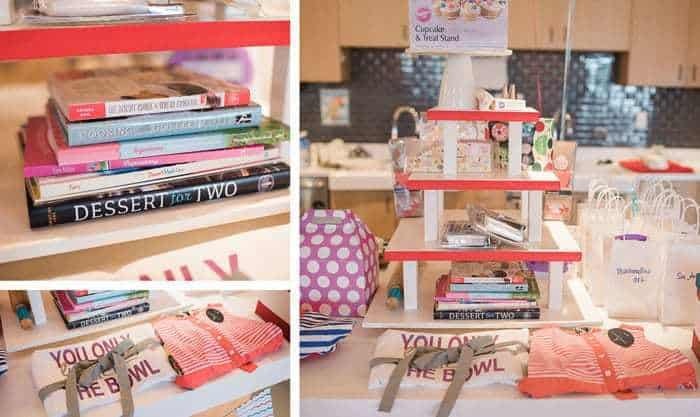 I raided my baking supply closets and put together some fun grab bags full of baking tools and gadgets. 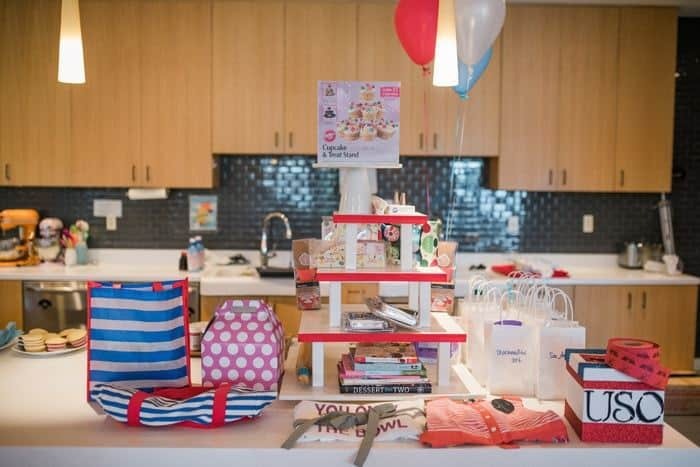 I bought a cake stand a few aprons from Home Goods while Meaghan put together goodie bags filled with cookie cutters, food coloring and marshmallow pop making supplies! It was a really special moment for me to be able to shower these wonderful wounded soldiers, caregivers and active duty military with gifts. 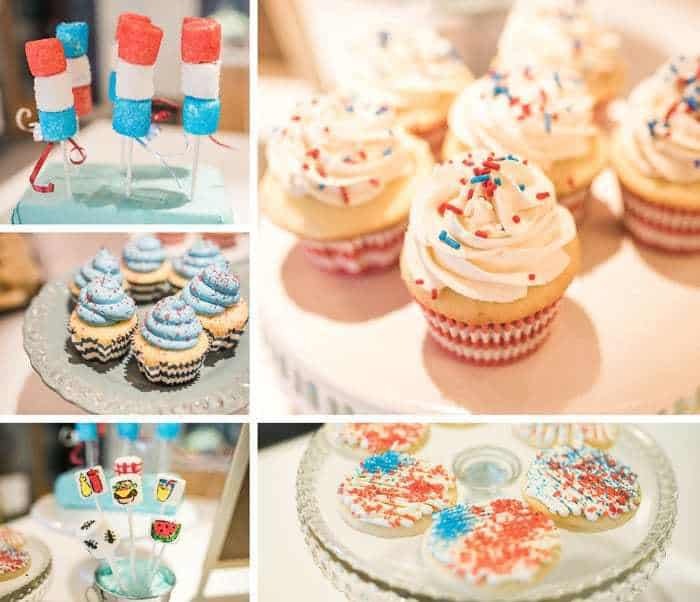 Doing something like this has been a dream of mine for a while and being able to give to them an evening of joy, happiness and all you can eat cupcakes was just a pleasure. A true pleasure. 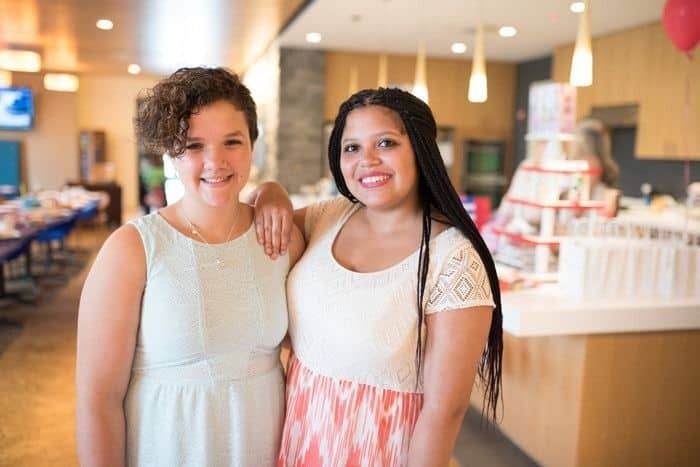 I can’t leave out my daughter Emily and her best friend Alexis for being a huge help to me before and after the workshop. The girls did all the dishes after the event and helped clean up without any complaining! Thank you, my sweet ladies! If you were at the dessert decorating workshop, I promised you the recipe for my buttercream and sugar cookies! Finally, a HUGE THANK YOU goes to Anna of Anna Kratoville Photography. Anna donated her time and skill to my workshop so that I could focus only on teaching the class and not have to worry about taking pictures too! Aren’t these photos just amazing! If you’re in the Northern Virginia area, make sure to check out Anna and hire her for your next event!! My heart is just overflowing with joy and happiness after putting together this class. Everyone involved loved it, I loved it, the USO loved it and I can’t wait to do it again. Thanks to all the sponsors including the USO, Wilton, Sweets & Treats Boutique and the decorated cookie. Without you, none of this could have been possible. 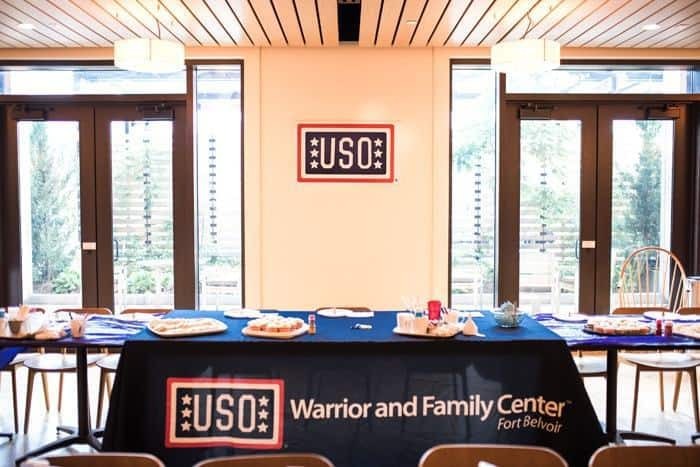 If you’re interested in volunteering at your local USO, check them out on the web to find your local center. Sounds like an awesome event! So glad you were able to be do it! 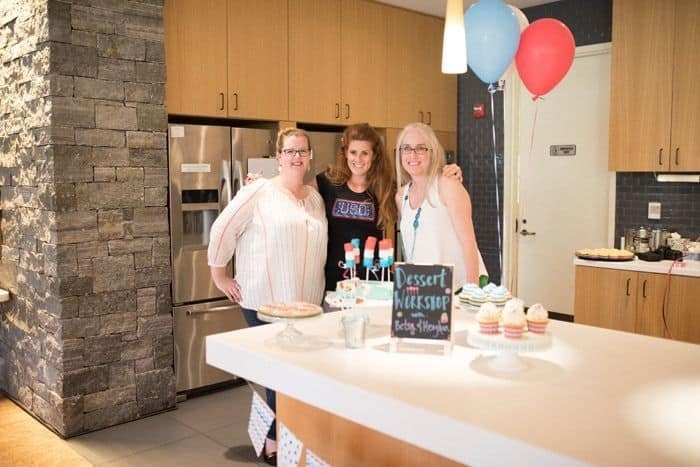 Betsy–it is events like this that make my heart smile! What an honor to be able to do this. The desserts turn out darling! Oh, I LOVE that you did this! What a special day for all of you!!! What a fantastic project! All the treats are stunning; some pros in the workshop! This is so fantastic! What an amazing opportunity! So neat! I bet they loved it. Looks like fun and what a worthy cause, too! What a fun class! And some great tips on decorating too! I’ve been thinking a lot about how I can better be of service with my cooking knowledge. You’ve inspired me! Thank you for having a big heart for helping others and encouraging others to follow your lead!